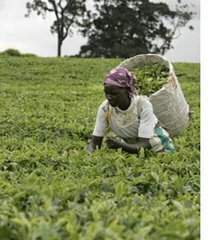 YOU ARE INVITED by Community Alliance for Global Justice to ‘Technology and Revolutions – the Gates Foundation and African Agriculture’, a short-course presented by AGRA Watch. Please join us for presentations and facilitated discussions on the key issues surrounding the work of the Alliance for a Green Revolution in Africa (AGRA). Wed. April 8th: What are genetically modified seeds and why are they more harm than help? Location: University of Washington, Gould Hall 110, on the corner of 15th Ave NE and NE 40th St. in the U-district. Our society generally believes that technologies are neutral and value-free; they may be used for good or ill. Bill Gates` world-view of technology`s power to transform society is anchored in this belief as well as his own personal experience. This presentation will deconstruct this dominant ideology, showing that it is usually false and also disempowering– conditioning us to go along with a great many technological decisions made by powerful groups in their own interest. And these choices are not value-free. >April 8th: What are genetically modified seeds and why are they more harm than help? It is often thought that implementing new technologies in agriculture is a necessary part of the solution to global hunger and poverty, including the use of “improved” varieties, such as those grown from genetically modified (GM) seeds. In this section we will outline the basic process of how a GM seed is made and discuss the differences between GM seeds, hybrid varieties, and other types of seeds. Examples will be used to show that “improved” varieties are not resolving issues of hunger around the world and are contributing to further economic disparity and ecological degradation. We will also review scientific research that links genetically modified food crops to human health issues. The course will end with a survey of successful alternative agricultural case studies that promote sustainable food production without the use of “improved” seeds. Based on claims made by AGRA, we’ll look at whether or not small farmers, women, and the reduction of poverty and hunger are really the central concerns of the “New Green Revolution” in Africa. We’ll discuss what we know about the past green revolutions and then talk about the agricultural model that the Gates and Rockefeller Foundations are currently constructing in many African countries. We’ll look closely at some of the grants that have been given by these foundations and we’ll also look at the role of transnational corporations as they await the “opening of new markets” in Africa.